It’s easy to look at the way other people spend money and pass judgement. “Wow, I can’t believe they spent that much on a meal”, you might say to yourself. And it’s honestly something everyone has done at one point in time. And while it’s easy to judge other people for their habits, it’s a lot less fun to look in the mirror and see where you could have done a better job. 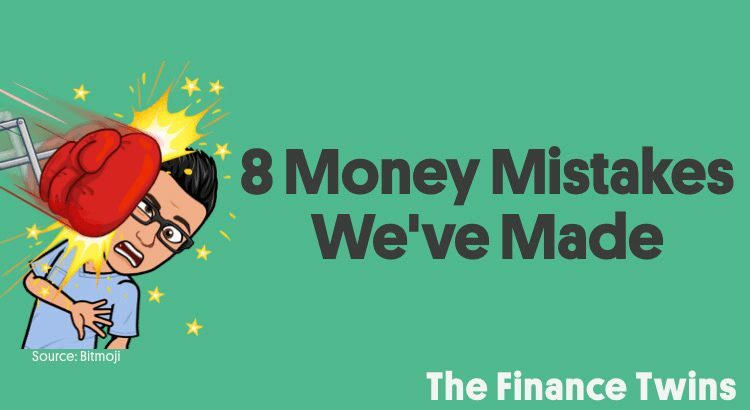 Most people have made their fair share of money mistakes. So we want to share a few of the mistakes that we’ve made so that you can see that everyone makes mistakes, and that the most important thing is that you learn from them. Here we go. After graduating from college, Camilo moved to New York City to begin his career. Here’s the lesson he learned the hard way. Anyone who read about my transition going from growing up in poverty to attending an Ivy League university remembers me saying that New York City has a special way of making rich people feel poor. And I fell victim to it. When I first moved into the city, I knew I’d need to live with roommates. Living on my own just simply wasn’t financial feasible. Luckily, I had two awesome friends that were in a similar situation, and we agreed to live together. We found a two-bedroom apartment for the three of us. That meant that one of us would have to live in the living room. Maybe that’s why it’s called a living room, right? This is pretty normal in New York City, so if you haven’t lived there, you might think this sounds insane. Anyway, my two other roommates valued their privacy and were willing to pay for it, so they each paid around $1,700 for the bedrooms while I paid $1,050 a month to live in the living room. An incredible “bargain” for east Midtown Manhattan. We also paid about $1,500 to install a temporary wall to my “room”. The catch is that there had to be a 12 inch gap between the wall and the ceiling, and I couldn’t have a door. Picture 2 parallel walls that overlap, creating an “s” shaped entryway, which gave me a semblance of privacy. To be fair, I worked 80-100 hours a week so I was barely ever home. And when I was, I was sound asleep. At $1,050 a month in rent in Manhattan, I was able to save a lot of money every month. After a year of living in the apartment, I decide it was time to move out. I was ready to spread my wings and venture out on my own. Even though a year earlier living alone was unaffordable, I thought it now made a lot of sense. I blame sleep deprivation for my lapse in judgement. I found a studio that I thought would be perfect. Picture a living room, a bed, a kitchen, all in the same room. Thankfully the bathroom had a door. And the room had a view of the Empire State Building… not bad, eh? For all of that, I had to pay the handsome total of $2,300 a month. That’s 2.2 times more than I was paying! That’s almost $28,000 a year in after-tax dollars to pay for a single room by myself. Ouch. And the crazy part is that I thought I was getting an awesome deal compared to other apartments I visited. This mistake cost me $15,000 per year, before taking into account the fact that I could no longer split utilities and other bills with roommates. So how the hell did I do the mental gymnastics to convince myself that this made sense? Well, for one, I felt like I had saved so much money during the first year that I could now afford it since I had money in the bank. In addition, my pay was high enough that it still met the 30% take-home pay rent rule. Until I quit my job 2 months later to join a start-up and took a pay cut for an amazing opportunity to join a company I admired. Overnight, my rent payments started to choke my finances. I learned the hard way that just because you think you can afford something that doesn’t mean you should buy it or do it. Sometimes it’s hard to know what curveballs your career might throw your way, and if I was happy in my old apartment, there was no reason to leave after a year. Thankfully, I learned my lesson quickly and moved in with my college roommate once my new lease was up. I would have never imaged rushing to live with friends again, but writing the monthly rent check lit a warm fire beneath me. Francisco on the other hand, NEVER lived alone and was able to borrow less money for med school as a result. Well done! After college our mom’s 15 year-old-car was starting to require more money in repairs than it was worth. Thankful for the sacrifices she had made for us, the two of us and our older brother offered to help her find and pay for a new car so that she’d be able to get to work without the fear of her car dying. Unfortunately, we committed what many consider to be one of the cardinal sins of personal finance. We leased her a new car. Now, there are a lot of good reasons why leasing a car is actually not a terrible idea, but it would’ve made more sense to buy her a cheaper used car that she’d be able to drive comfortably for another decade. To make matters even worse, when this three year lease was over, we leased ANOTHER car. Oh man, that’s embarrassing. Thankfully we didn’t commit the same mistake and our mom now drives a used car that she paid for in full. The plan is for her to drive it until it requires more in repairs than its replacement value, which hopefully won’t happen for about another decade. IRAs have been around since the 1970’s, but we just didn’t know what they were until after we started working. We just didn’t have a site like this to go to, in order to learn about the things we didn’t even know existed. In hindsight, we should’ve started contributing to Roth IRAs when we started working in high school. I don’t even want to do the math to figure out how much we’ve lost. (We would’ve basically tripled our money). In those high school days we had to work to help pay some bills, but I am sure we could’ve saved a little bit each week. Our incomes were so low we paid minimal income tax so it would’ve been essentially 100% tax free investments. The one thing we know is that our kids won’t make the same mistakes. This is a sticky topic to chat about, especially when you work with your family, but it’s true. Everyone always says that when you lend family money, assume it’s a gift because the last thing you want is for money to hurt your relationship with your family. If you can’t afford to lose it, then you can’t afford to lend it. And no, we aren’t talking about helping a loved one pay for a heart transplant or something that will save their life. But for most things, make sure you feel comfortable with never getting your money back. If you do, great. We don’t want to get into specifics here, but please remember this lesson. Unless you want to help a family member out of the goodness of your heart, don’t lend money you aren’t willing to walk away from. It’s that simple. Not contributing to your company 401k plan is just plain silly, if you have the ability to do so. Even if the company doesn’t make matching contributions, these accounts provide tax benefits. It means less of your money goes to Uncle Sam and more of it goes into your pockets. After a certain point, we can’t continue to claim ignorance for these things. This alone would’ve saved us a lot of money in taxes. But that’s not even the most important thing. By automating your savings (via payroll deductions) you take away the chance that you’ll forget to set aside money to invest. Life has a way of getting in the way of things we want to accomplish. So yes, we paid more in taxes than we had to. We didn’t get a company match so that wasn’t even a problem. 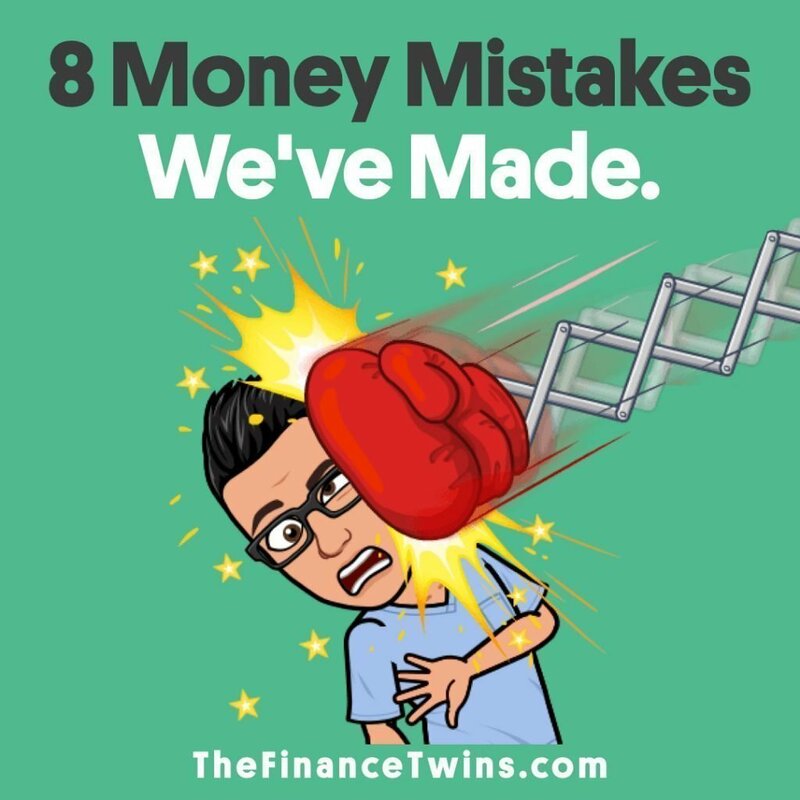 The real mistake was not taking advantage of automating our savings so that we wouldn’t even get used to the larger paychecks and thus base our spending off it. Having just graduated from medical school, Francisco is now a student loan expert, but initially he made a costly mistake which cost him thousands. Here’s the lesson he had to pay a lot of money to learn. Most college students sign the forms for student loans while they are finishing high school or freshly out of high school. Between getting ready to leave home for the first time, and getting all of the materials they need for school, student loan documents are often the last thing they want to worry about. But for many people, including myself, it should be at the top of the list. And understanding whether your federal loans are unsubsidized or subsidized can make a huge impact on how much you’ll owe when graduation rolls around. In my case, I graduated from medical school with over $200,000 in student loans. Federal student loans for graduate school are always unsubsidized. Not sure what that means? Let me tell you. The difference between subsidized and unsubsidized loans is simple. For all federal student loans, you don’t have to start repayment until after you graduate. However, you still need to make monthly interest payments, or else it’ll be added to your final loan balance. Many people don’t realize that. However, with subsidized loans, the government will make your interest payments for you while you are in school. You need to have demonstrated financial need to qualify for subsidized loans. If your loans are not subsidized, you are responsible for the interest payments while in school. It’s that simple. So for me, not making the monthly interest payments on my student loans was very costly. I accrued $16,000 in interest ALONE while I was in school. I even worked regularly at the school library, but there wasn’t anything left over, and I kept a very tight budget. But while I couldn’t make a dent on the interest payments, some of you can. Some of your friends can too. So this is something that they need to be aware of. Not making the monthly interest payments on unsubsidized federal student loans because you don’t realize it’d accrue and be added to your final balance is painful. In the end, I’ll have to pay interest on top of the interest that wasn’t paid, and that hurts. In high school and college, many people who saw us probably didn’t realize that our family was hurting for money. We’d spend our money from working on clothes we couldn’t afford, and our mom leased a car that she couldn’t afford, and we’d often drive it to school. As the saying goes, we spent money we didn’t have on things we didn’t need to impress people we didn’t know. Guilty. When you don’t have a lot of money, it makes you very self conscious of it. The shame leads you to avoid speaking about it and you’ll do anything to give the impression that you aren’t broke. But the irony, is that if we would’ve saved all of that money and invested it, we’d be in a better financial position today. In the end, we have been extremely fortunate. But it’s funny to see that now that we have more, we actually spend less. We now buy new clothes when we need to, instead of when we want to. Maybe it’s because we are both married so we don’t feel the pressure to look a certain way or attract a certain type of attention, but I don’t think that’s the whole story. I think we also realize that your appearance doesn’t mean a whole lot. We’d rather be wealthy than look rich. If you saw Bill Gates on the street you’d think he’s someone’s goofy uncle, not a billionaire capable of buying every house in your entire city. And the sooner you realize that material things won’t bring you sustained happiness the better. It took us a while to realize it, but better late than never. We still remember getting our first paychecks after graduating from college. It was the first time in our lives that the money was coming in faster than we were spending it, thanks to the low overhead from having roommates. This feeling of “saving” was definitely new to us. With this extra money burning a hole in our pockets we began to spend it a little more freely. Before you knew it, we were once again living paycheck to paycheck. It wasn’t until we sat down to track our expenses that we realized how quickly many small purchases ($5-$15) add up. We started to make a budget (we prefer to call it a spending plan) and our ability to save money improved dramatically. We began to save over 25% of our income each month by simply sticking to our plan instead of spending freely. This is the #1 thing you can do to improve your financial situation if you don’t already do it. The good news, is that we put together an awesome step-by-step guide that walks you through the process. You’ll have a monthly spend plan in place before you know it. To download the free budget template that we use every month click here. 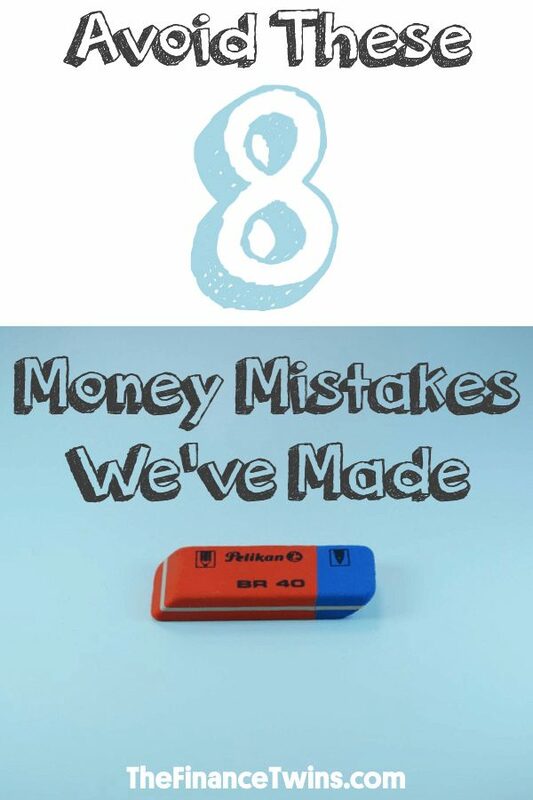 What’s a money mistake that you’ve made and won’t repeat? Share in the comments below. This is such an informative article. I didn’t know about the interest payments on unsubsidized loans. We were given a little bit of info about different types of loans when I was in high school but I don’t think the info we received was enough. I’d have to say that one of my biggest mistakes was buying a new car at full price. Fortunately, one of the smartest things I’ve done was to start tracking my monthly expenses. I started tracking my expenses about 3 months after I started my first full time, and I’m so thankful to my younger self for that. Keep your posts coming! Thank you Ani! Buying cars at full price is fun until you realize how quickly they lose value. Thankfully that’s a financial mistake that many people can recover from. Great job tracking your expenses from the get-go! At this point, I’m very happy my friend has gotten my credit where it needs to be. Over the past few days I have watched as one by one the old negative items on my report have dropped off and my score went up and to excellent. I thank them for their hard work and will recommend their services to everyone as they also help with their credit. So glad your credit has gotten better. Thankfully, bad credit is something that can be fixed, it just takes time. Investing in penny stocks…aye yay yay. I should’ve known better! Luckily I’m young and have time to recover (and I’m back in index funds), but that mistake cost me about 2.5 years of the returns of smarter investing. Sigh. Like y’all say, live and learn. Definitely don’t beat yourself up about it! At least you were investing, and at least you’re making up for lost time. As long as you learn from your mistakes and don’t repeat them, that’s all you can do.